Being a product of a public school education in the late nineties, I have a lamentable lack of knowledge of World War II in the Pacific. My history classes usually stopped somewhere around the 1920s. If they didn’t, and actually reached World War II, all we were exposed to was the European theater. No one in my eighth grade history class knew the leader of Japan during the war, and few even knew that China was to any extent involved. Thus, I was so happy to find a book that discusses the Pacific theater, and even happier that it’s also about women in the service. Elizabeth M. Norman starts the book off with some flowery language that seemed, to me, a bit superfluous. If a word outside the average person’s vocabulary is truly the only one that suits the situation, then, for all means, use it. In my opinion, though, if a simpler, more easily-understood word will fit the situation well, then that’s the word to use. There’s no reason to obfuscate the reader. See? I just did it there. Why not use confuse, which gets the point of the sentence across more quickly? While the book is by no means a fluff read, it’s not a doctoral thesis, either. Luckily, the vocabulary lesson ends fairly quickly. Norman shows us the life of the nurses in Manila before the war, a plush existence for people in the armed services. The rude awakening the American and Philippine troops had once the Japanese began their attack on the islands is depicted rather astutely, reflecting the naive mindset most of the nurses had. In fact, this is one of the most important points of the book. The nurses may have been unprepared for the realities of war, but they quickly adapted to most, if not all, the situations they were thrust into. They treated patients in extreme circumstances, both soldiers when they were still able to have American “hospitals”, and civilians when thrust into civilian internment camps. Their story is almost incredible when one considers the amount of strength, both physical and mental, it must have taken to live through the conditions they faced, and Norman does a nice job of telling their stories without romanticizing the women. Sure, they’re devoted and resilient, but they also can be cold, or prone to depression, or controlling, or just plain grumpy. One other thing about the book bothers me; it’s a personal peeve, I guess. Norman jumps from person to person within chapters, sections, and even pages. Due to this, I don’t feel like I got a cohesive image of any one woman; their lives run together for me. I had to take time to remember salient facts about a particular woman. I think this could have been made easier for the reader by following particular women for good chunks of the book. Other readers might like the more eclectic gathering of the women’s accounts, but I found it a little disorienting. In the end, We Band of Angels provided me with more knowledge on the Pacific front of World War II, and it also gave me something just as valuable — insight as to what it was like to be pioneers in the realm of gender equality. These women are admirable, and I enjoyed reading about their experiences. Who hasn’t wondered about their awareness, their perception, and their experience of the world around them? I think it’s a rare person who hasn’t thought about these things from time to time. 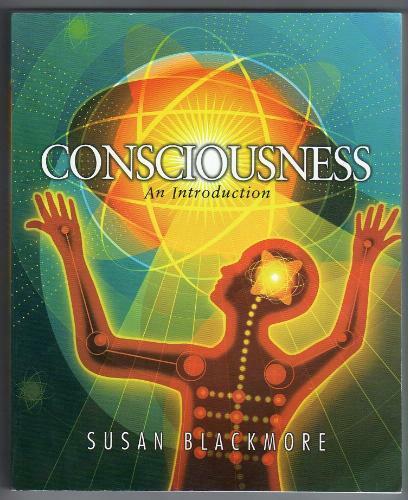 In Consciousness: An Introduction, Susan Blackmore presents the views, research, and conclusions the philosophical and scientific communities have developed. This is a potentially complicated subject, and Blackmore writes with enough clarity to make understanding easy. Blackmore starts off the book by discussing what, exactly, consciousness is. She discusses the philosophical history of the idea of an inner self, like René Descartes’ idea that the soul made contact with the body through the pineal gland in the brain. We are given thought experiments to make us think about what it would be like to have a different experience of the world, and then to be exposed to the world as we experience it. I found this very interesting because it challenged my perception of what makes up elemental blocks of experience, like color, why we perceive it in that particular way, and whether that is the only valid way to experience it. Further on, Blackmore discusses the “theater of the mind”, an aspect of consciousness that we all appear to have. It seems that we can think about things, imagine them, and think about them within ourselves before we take action. Some think this is an actual construction of the brain, and others think it’s an illusion created solely by physical brain processes. I, personally, am partial to that second idea. The simplest answer is usually the right one; why posit a completely separate construction of the brain if consciousness can be folded in as a side-effect of what the brain is already doing? That makes sense to me. Another part of the book that I found completely fascinating was the section on artificial intelligence (AI). Blackmore talks about the research into the field and the controversy about whether machines can actually be considered to have consciousness — is this an attribute that only humans can have because of their unique build, or can machines, if behaving in a way that is indistinguishable from that of a human, also be considered conscious? My conclusion was that, if it seems to act like it has an inner self, then it’s conscious. It doesn’t matter what the physical makeup is. The function is what defines consciousness; the brain does it in one way, and machines do it in another, but the result is the same. This, I think, is awesome. I also liked the section on the paranormal. While remaining respectful (probably more so than I would be capable of), Blackmore explores and debunks most supernatural “evidence” for a soul or inner spirit. She is, however, more open to things like Buddhism and meditation, which I do think are useful for people who need something to help them feel centered; I just happen to also think that need is determined by some process or chemical balance in the brain, and not by a spiritual component we all have. The drawbacks to this book are few. One is that the dichotomy between the “theater of the mind” people and those who think everything is solely a result of brain processes gets dropped in the last half of the book. I would have liked to see that carried through the entire work. The other thing, which isn’t Blackmore’s fault, is that it’s a textbook. There are activities and comprehension questions, which weren’t of interest to me, a person just reading it for pleasure. Overall, I think I learned a lot. I now know that I think my sense of consciousness is a product of brain processes, and not of any sort of “ghost in the machine”. A recommended book for college classes dealing with the topic, and those who are intensely interested in the topic.